Space for Rough Work / रफ़ कार्य के लिए जगह. This space is useful for Science / Mathematics candidates for the calculation of the equations. 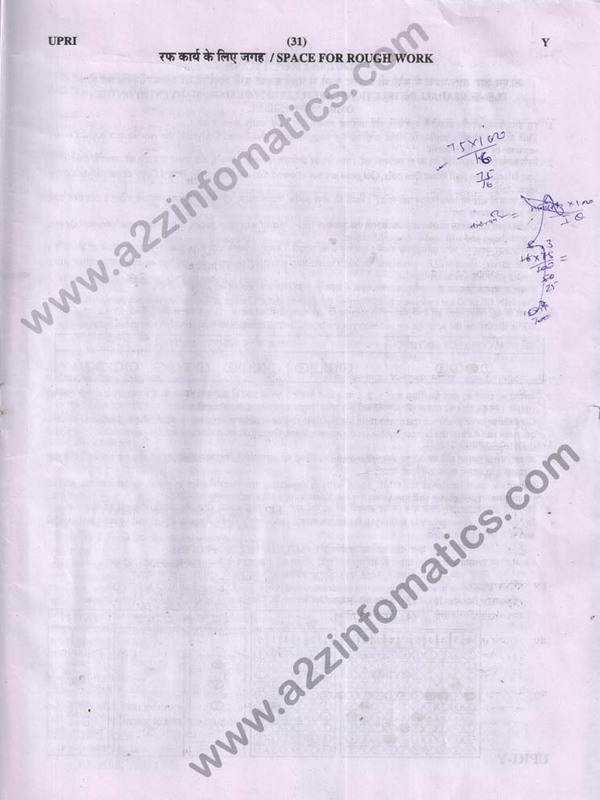 Important: The UPTET 2016 Official / Original Question Paper (UPRI-2016) is made up of total 32 pages, link to all pages is given at the bottom of this post. You are now at page number 31 of UPTET 2016 Upper Primary Level (UPRI, Paper-2, Class 6 to 8) Fully Solved Question Paper SET-Y in Hindi / English. To download UPTET 2016 UPRI Paper-2 in PDF format, visit other pages of this post (links given at bottom). The UPTET 2016 UPRI (Paper-2, Class 6-8) exam was held on 19 December 2016 in the Second Meeting (02:30 Pm – 05:00 Pm).